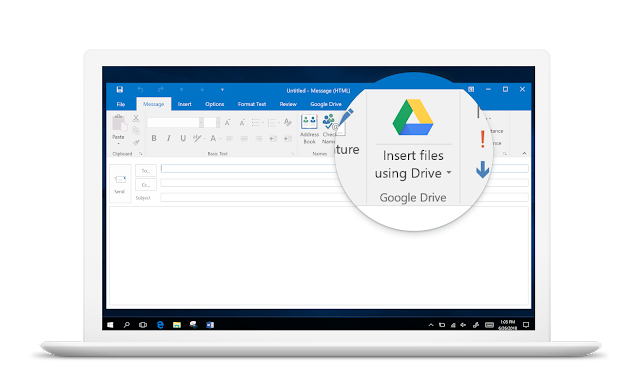 New Drive / Outlook integration: The update to Drive File Stream will include a plugin to manage Google Drive files from Microsoft Outlook on Windows. This will make it easier for users to use Google Drive without leaving the Outlook interface. To save to Drive, use File > Save, then choose a destination in Drive File Stream. To open from Drive, Open through the File > Open menu and find the file you want. If your organization uses the Google Drive plug-in for Microsoft Office, you should make sure your users are using the latest version of Drive File Stream before June 26, 2019 to ensure continued access to this functionality. Drive File Stream already makes it easy to save to the local Drive File Stream folder through the regular “Save” menu. By ensuring your users are using the new plugin before June 26, 2019, there will be little to no disruption to their workflows. Admins: Make sure your users are using an up to date version of Drive File Stream. Use our Help Center to learn how to deploy Drive File Stream for your organization. End users: Ensure you’re using an up to date version of Drive File Stream. Use our Help Center to download and install Drive File Stream on your computer. Users of the Drive for Office plugin will see an in-product notification, pictured below, starting on March 27, 2019. This will encourage them to update to the new plugin to continue using Drive from Outlook. Rapid Release domains: Available in Drive File Stream version 30.1 and up, which will become available on March 27, 2019. Scheduled Release domains: Available in Drive File Stream version 30.1 and up, which will become available on March 27, 2019.